Deepika Padukone has kick started the preparations for her wedding to actor and her "Padmaavat" co-star Ranveer Singh. The actor's stylist Shaleena Nathani shared pictures from a puja which was held at her residence in Bengaluru. 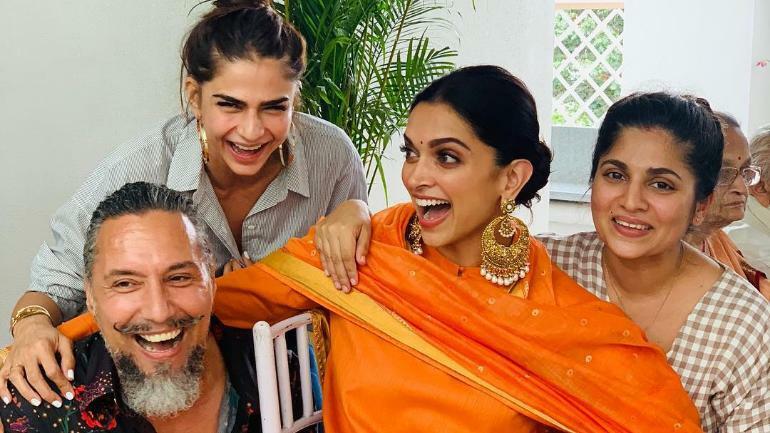 In the photos, Deepika is joined by her hairstylist Gabriel Georgiou and the actor is dressed up in an orange Sabyasachi outfit. "Love you to the moon and back. So happy for you. Can't wait for it all to start. You deserve all the happiness in the world and more," Nathani captioned one of the pictures. Deepika will tie the knot with Ranveer later this month. Last month, in a post shared on their respective social media accounts, the couple had revealed that the wedding celebrations will take on November 14 and 15. "With the blessings of our families, it gives us immense joy in sharing that are wedding is set to take place on the 14th and 15th of November 2018. "We thank you for all the love you have showered upon us over the years and seek your blessings as we embark on this incredible journey of love, loyalty, friendship and togetherness. Lots of love, Deepika and Ranveer," the post read. Deepika, 32, and Ranveer, 33, made the announcement in traditional wedding card format in both Hindi and English. They did not reveal the wedding venue in the post.